SEO Tips for Small Businesses. When we think about SEO, the first thing that comes to mind is often the term keywords. 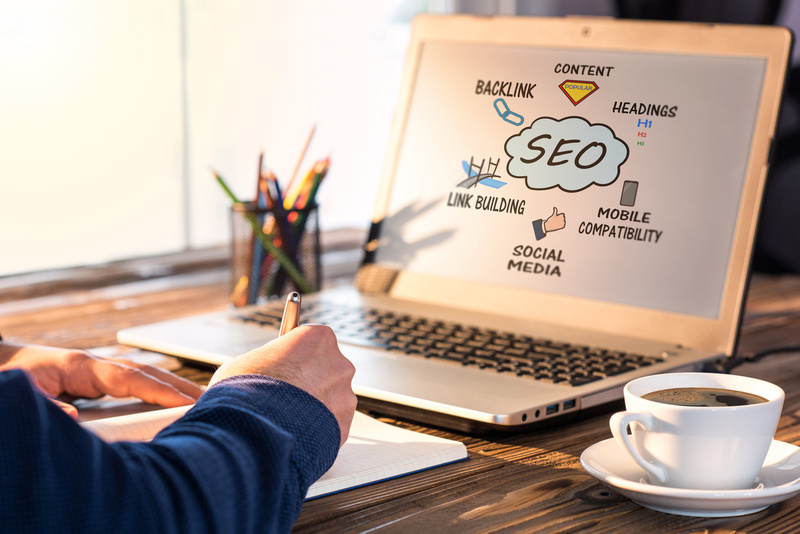 While keywords still play an important role in SEO, things have evolved a lot and you can make other concrete gestures that will help your site better come out in the Google search engine, in particular. Here is a list of actions you can do today! Nowadays, it takes a lot more than inserting keywords into your texts and pages to get a good seo. You need to write content that is relevant and interesting to attract the attention of your visitors and Google. Remember that you talk to humans and not robots. You should also be careful not to duplicate your content from one page to another. * Pay special attention to the titles of your pages. All your pages must have a title that includes keywords that reflect the text and the information presented. By writing news or blog articles, you will often have something new on your site, which generates more visits to your site. You don’t feel comfortable writing? Opt for videos. Very popular, they are also part of a diversified content. * Google likes to use its tools and reward you if you do. Make sure you create your Google My Business account. Even if it is not your favorite social network, linking your website and your Google + account, you will ensure a better visibility to your site. Make sure that several external links lead to your site. You can also cite other credible and interesting sites in your content. However, join with sites that are relevant and complementary to yours for better credibility. A bit like you do in business, choose sites that share the same values as you. * We repeat, but a must-have is to offer a mobile website to your visitors. Without this option, you will be virtually ignored by Google. * Another way to increase your SEO is to check the name of your pages. Give them names with keywords that will be present in the URL of them. With voice recognition playing an increasingly important role in our lives, the way that Internet users do research has evolved a lot. Once, people slapping one or two keywords in the Google search bar. Today with cellphones that are used to do pretty much everything besides making phone calls, including web searches, you have to think in key terms. Research, written or vocal, is often composed of a group of words. You should take this into account when planning your SEO in order to choose the terms that apply to your business.